Editor's Note: This column presents the travel notes of a student of Indian politics and serves as a journal marking the run-up to General Election 2019. Sandip Ghose's day job as a marketing executive takes him deep into the country's interiors, which affords him the chance to listen to, and make sense of, India's concerns. These pieces will run in tandem to the frequency of his travels. Views expressed here do not reflect those of Ghose's employer. Barely four days after the new Chief Minister of Madhya Pradesh was sworn in, no one expected to see much change in Bhopal. But the canvas of the city has already changed beyond recognition — there was not one poster or hoarding of former chief minister Shivraj Singh Chouhan or Prime Minister Narendra Modi in sight. 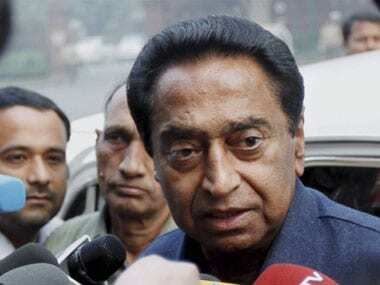 Almost overnight, all billboards and posters were replaced with congratulatory messages for Chief Minister Kamal Nath. Even Congress president Rahul Gandhi’s photos are on the fringe, and party leader Jyotiraditya Scindia, who was Nath's comrade-in-arms during the elections, is also conspicuously absent from the frames. 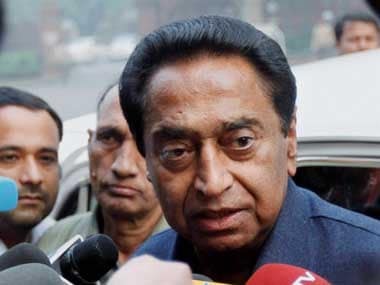 Truly, BJP's 'kamal' (lotus) has been replaced by Congress' Kamal Nath, if one were to go by the wallscape of the Madhya Pradesh capital. This is a remarkable feat, considering that Nath has been operating as a single-member cabinet since taking oath on 17 December and also doubling up as the state Congress president. Within this short span of time, the chief minister also carried out a major bureaucratic reshuffle — in a swift move, he transferred 48 IAS officers, including 24 collectors. Nath also transferred the Superintendent of Police of his Chindhwara Lok Sabha constituency to the police headquarters. Clearly, Nath got down to business without much ado. And he has reason to: Nath knows he has to get his act together fast, with the 2019 Lok Sabha elections approaching. Delivering a sizeable number of seats for the Congress in Parliament must be his first mandate from Rahul. Therefore, it's not surprising that some of the officers transferred were from constituencies where the Congress lost in the Assembly elections. One of the first orders Nath passed after assuming office was re-allotting the bungalow to senior Congress leader Digvijaya Singh that the Chouhan government had asked "Diggy-Raja" to vacate. Ruled out from the chief ministerial race, Digvijaya had thrown his weight behind Nath during the elections. 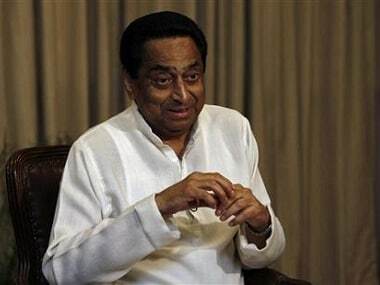 So, while the move to re-allot the bungalow can be considered a thank you note of sorts, there is another reason: Nath is new to the political ecosystem of Bhopal and has never had any experience of managing Madhya Pradesh, having remained largely confined to his turf in Chindhwara. Digvijaya, on the other hand, knows the workings of the state administration like the back of his palm. Digvijaya had maintained strong links within government circles even during his long political “sanyas” (hiatus) and also knows the bureaucracy intimately. Many of the senior officers of today were either collectors, or held other junior posts, when he was Chief Minister of Madhya Pradesh. Some of them had surely kept in touch with him during his stint at Delhi in the UPA government. 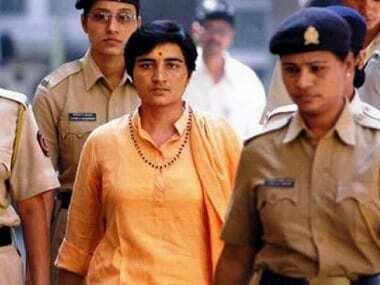 So Digvijaya's help will be invaluable, if not indispensable, for Nath, at least in the early days in office. As a result, there is an equal number of party men queuing up at Digvijaya's doorstep as they are at Nath's office. 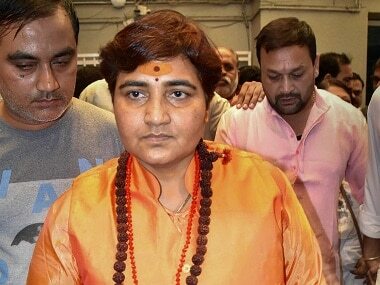 Bhopal is the quintessential state capital where people instantly change loyalties and try to align with the new power axis. There is little time wasted in shedding tears. Unlike in Indore, where one could sense a touch of remorse about Chouhan’s loss, in Bhopal, there was no visible withdrawal symptom. People seem to have come to terms with the change in dispensation. Perhaps even more significant is that despite the thin majority the Congress has in the Assembly, there is no apprehension of instability. It was heard through the grapevine that Chouhan had a war chest ready to mobilise the numbers required for the BJP to form the government in Madhya Pradesh. However, he is believed to have received instructions from Delhi to not indulge in any horse trading. By the same evening the Congress had staked claim to form the government, Prime Minister Narendra Modi had already tweeted his congratulatory message to the winners, quashing all speculations of a replay of Goa or Karnataka. Quick to get off the crease, Nath announced a farm loan waiver in Madhya Pradesh even before the victory celebrations had ended. By simple calculations, the waiver translates into a bill of Rs 38,000 crore, which will prove to be a crippling blow to the already debt-ridden state exchequer. But those who have gone through the fine print noted that the waiver is pinned with riders and conditions that will severely restrict the actual payout. In another populist order, Nath notified that all new industries must employ 70 percent of workers from within the state — another policy that will not be easy to implement but will be a good line to sell during the Lok Sabha election campaign a few months down the line. Considerable thought and homework must have gone into making these policy announcements even before a cabinet and new administration was brought into place. This indicates that the Congress is working with a sense of purpose and a plan. This is a refreshing change in the party, different from people’s recollection of the earlier Congress rule. It also inspires confidence in people that the government is serious about delivering on its promises. Moreover, it also ties in with the impression people have of Nath. How he has nurtured his own constituency over the years is part of Madhya Pradesh folklore. It is often compared with how little other Congress heavyweights had done in their dynastic boroughs. As a Union minister, he always came across as efficient and a go-getter. If this impression and momentum can be sustained in the coming months, it could hold the Congress in good stead for 2019. Meanwhile, Chouhan, it seems, has been advised to eschew politicking and focus on the Lok Sabha polls. The RSS pins the responsibility for the loss in Madhya Pradesh on Chouhan for his “mai ka lal” comment on reservation for Scheduled Castes and Scheduled Tribes. But the BJP cannot dispense with Chouhan for the Lok Sabha polls. There is no other pan-Madhya Pradesh leader with his level of grassroot connect. The party also believes there could be a “sympathy factor” towards “Mamaji” for losing the Assembly polls by the skin of his teeth. Chouhan himself has more than one reason to do better than his best for the elections. First, a poor show in Madhya Pradesh will reduce his own relevance both at the state and national level. Second, if wishes to have a go at the big job in Delhi in the event of the BJP falling short of an absolute majority, he would need the numbers from Madhya Pradesh to back him up. Furthermore, the BJP is taking a lot of solace from its vote share of 41 percent, which was a decimal point higher than Congress’ 40.9 percent. It also argues that it lost a number of seats only by a very small difference. It may be tempting for the BJP to add a “swing factor” for Modi and predict that the Lok Sabha outcome will be very different from that of the Assembly polls. However, the arithmetic may not be all that simple. Being in power is going to give the Congress a definite edge that the BJP cannot afford to underestimate. The Congress has a core-competency in managing the administration, and Digvijaya Singh is a past master at it. Nath himself has proven his mettle as a general in the Assembly polls and will now operate from a position of strength. There is no better tonic than a victory. Coming back to power after 15 years is bound to re-energise the party organisation. Finally, Rahul will return to campaign with renewed vigour and will, no doubt, keep training his guns at Modi. But it can be said with a great deal of certainty that under Digvijaya’s tutelage, Nath will re-open the investigations into the Vyapam scam as well as other cases to put Chouhan on the back foot. For the BJP, upper-caste angst is not the only problem. It can no longer afford to gloss over the disenchantment of the middle class and its traditional voter base among the trading community, which has yet to come to terms with the GST and greater transparency in transactions. But the saffron party has other issues to worry about, too. It needs serious introspection, nay investigation, into its losses in certain regions like Chambal, where the BJP was literally wiped out. When the odds are against you, you cannot go to war with a divided house. Back in Indore, when I asked the taxi driver to head to Sarafa Bazar for a late-night binge, the driver said Sarafa was no longer the destination for visitors. The place to go now is “56 Dukkan”, Indore’s food street since Rahul visited it last month.